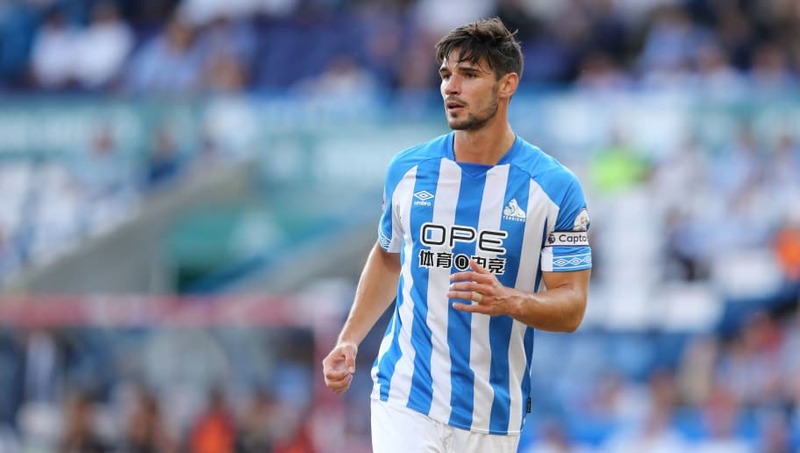 ​​Huddersfield have been handed a huge boost on the eve of the Premier League season with the news that defender Christopher Schindler has signed a new three-year contract at the John Smith's Stadium. Schindler was named Fans' Player of the Year and Players' Player of the Year last season after some stunning performances helped to keep the Terriers in the ​Premier League. David Wagner's team start their second consecutive top flight campaign against Chelsea on Saturday and this announcement is a well-timed morale boost for the whole club.  #htafc is delighted to announce that Christopher Schindler has signed a new contract with the Club that runs until the summer of 2021, with a Club option on a further season. "We all knew that ‘Schindy’ was a top, top performer after his first season at Huddersfield Town, but his quality really shone through as we played in one of the best leagues in the world last season," Wagner told the ​club website. "He took to the Premier League as if he has played in it all his life. “We’re absolutely delighted that he has signed this new contract at the club; it’s as good as any news or incoming that we had success with during the summer transfer window. "As well as being a superb player, he is a top character in the dressing room too; a real leader. "I still believe that he will continue to improve as a player, too, which is very exciting for all our fans and myself too. "This is a great boost as we prepare for ​Chelsea and the start of the new Premier League campaign." Wagner brought Schindler to the club from 1860 Munich in the summer of 2016. He played 46 of 49 ​Championship games, including the play-offs, during his debut season, and scored the winning penalty at Wembley as the Terriers won promotion to the Premier League. Last season he was named Huddersfield's Player of the Month four times and kept ten clean sheets, which proved crucial in the final reckoning.